SHELTER: A place of one's own. A place of one's own. Julie it sounds just perfect and can't wait to see your headboard design! That 2nd pic is so pretty with a touch of romance. Love it! 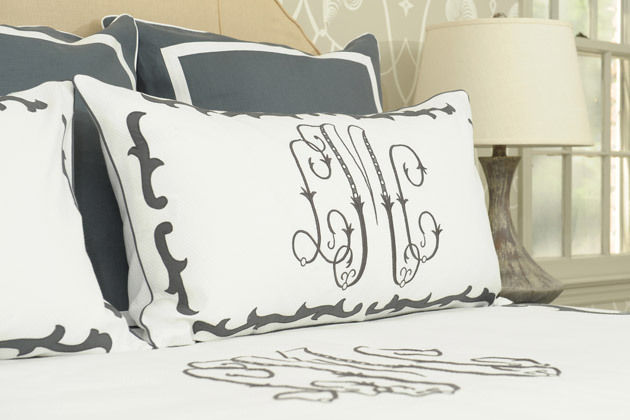 Love these monogram pillow cases! Is there a source for getting this kind of custom monogram done? I have been looking everywhere for someone/somewhere to have something similar done. I found Julia B at High Point. 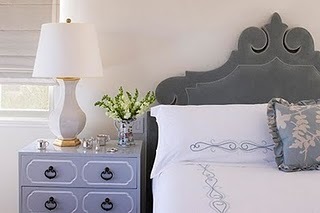 Ridiculously gorgeous and possibly the best feeling linens I have ever seen. worth a check out. love when my mom does that!! Can't wait to see what you do. what a great project, designing a new headboard! Can't wait to see what you do... 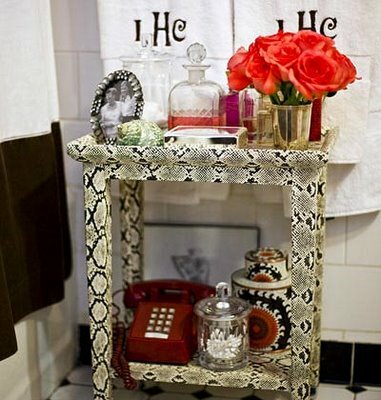 I LOVE the little "reptile" table..that would be perfect in my guest bath! Can you please share where that photo is from? fun! love that first image! Leontine Linens is unbelievable. I would die to own some of their bedding.